Many government ministries and charitable organizations have committed to making affordable housing attainable, while freeing up the over-crowded rental market. Whether you’re looking to build a new home or purchase a resale house, we’re here to help you get the funds necessary. Stop thinking about becoming a homeowner and start looking for your new home today. 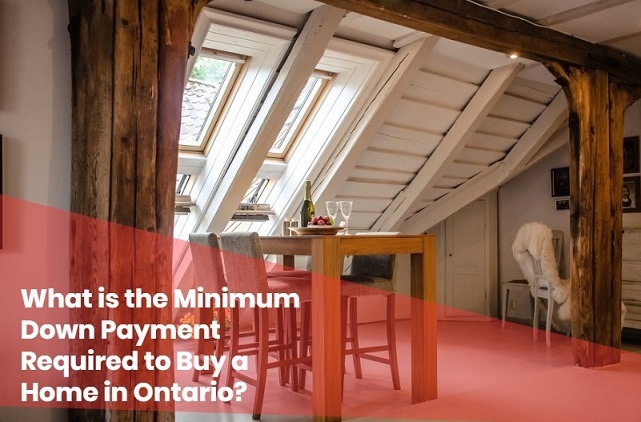 What is the Minimum Down Payment Required to Buy a Home in Ontario? If you’re at that point in your life where you’re ready to settle down. A place to create lasting memories and plant your roots someone special. It’s truly an exciting time. So exciting in fact, that many people jump into the home-buying process without knowing exactly what they’re getting themselves into. Without doing the proper research, you can wind up wasting valuable time and money. So, you may think you’re ready for homeownership but are you? The first step to securing that dream house is… You guessed it. Money, money, and more money. In the province of Ontario, Canada, where homeownership is encouraged, figuring out the cost of your down payment is simple. Click here for an example from CIBC. Let’s say you want to purchase a home that costs $500,000 or below. Easy-peasy. Your minimum down payment will be a flat rate of 5%. Of course, you can always pay more and are often encouraged to do so. If you’ve negotiated your dream home down to $350,000, you’ll wind up paying a minimum of $17,500. Now, let’s say you’re interested in a property that’s in the $500,000 to $1-Million dollar range. Things get a bit more confusing here. The new breakdown states that the minimum deposit you’ll need to pay is 5% on the first $500,000 (Sound familiar?). On top of that, you’ll be required to pay an additional 10% on the remaining balance. We’ll do the math here: If you’re purchasing a home that’s on par for the average in Ontario, you’ll incur a total price tag of $578,000. That means you’ll need to have a deposit of $32,800 ($25,000 for the initial 5% and $7,800 for the remaining 10%). Big spender? Homes exceeding $1,000,000 require a full 20% down payment. First-time homeowner? You’re in luck. We’ve rounded up the best of the best when it comes to down payment assistance available for first-time home-buyers in Ontario. 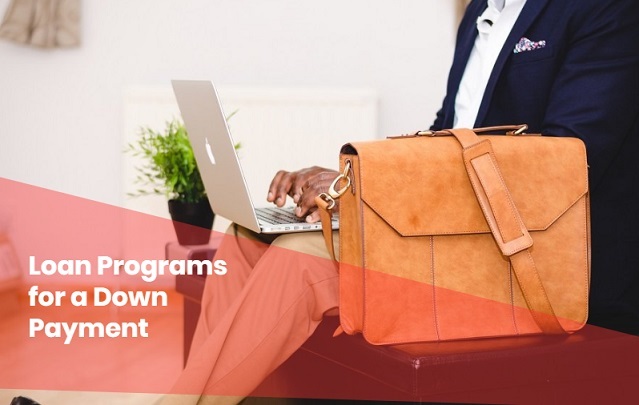 Between our comprehensive list of Government programs and Non Governmental Organization programs, we’re sure you’ll find something to help ease the burden of your down payment. The Simcoe Homeownership Program is offering forgivable loans to individuals or families purchasing a home within the county. 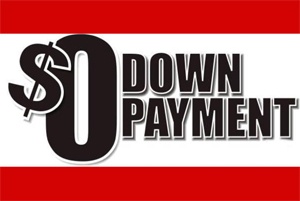 Down payment assistance is 10% and valid for homes with a purchase price of $462,645 or below. No repayment of the loan is required if the home is not sold within 20-years. The application process is simple and can be submitted in person or via mail. 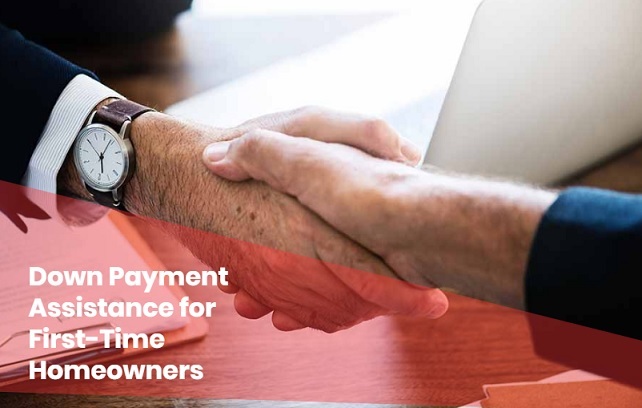 Households wishing to purchase homes residing in the county of Lambton can take advantage of the Homeownership Down Payment Assistance Program. This is a one-time assistance for parties who are currently in rental arrangements. A 10% forgivable loan can be up towards a new build or resale home with a list price of $215,000 or below. Loans will not need to be repaid if the home is unsold for 20+ years. The County of Dufferin Home Ownership Program helps moderate-income households achieve interest-free down payment or second mortgage assistance. Dufferin offers 10% of the cost of eligible homes within the county with a maximum loan of $45,000. Applications are accepted in chronological order so act quickly. The loan is considered forgivable if the home is not resold for 20+ years. The Affordable Home Ownership (AHO) program for the region of Waterloo offers government-run down payment assistance for low to moderate income households currently renting. The government-run forgivable loan is interest-free after 20 years. Down payment assistance is equal to that of 5% on qualifying homes with a $386,000 or lower purchase price. You do not need to be a first-time homebuyer to qualify for this loan. The city of Windsor is currently offering 20-year forgivable loans through their Homeownership Downpayment Assistance Program. Assistance is 10% or up to $21,200 whichever comes first. But, you’ll need to act quickly. Loans are on a first-come first-serve basis and your close date must be on or before March 29, 2019. The City of Kingston Home Ownership Program (HOP) provides down payment assistance for low to moderate income households who are seeking to obtain affordable housing. A forgivable loan maxes out at 5% of the purchase price or $15,000 whichever is lower. Applications are fulfilled in a first-come first-serve basis with approximately ten loans allocated annually. 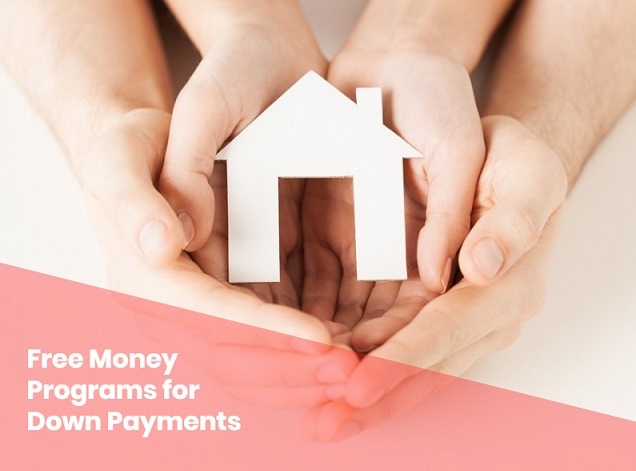 The Home Buyer’s Plan (HBP) is a government-run program that allows individuals to borrow up to $25,000 (per calendar year) from their registered retirement savings plan. Funds can be used to buy or build qualifying houses for yourself or a disabled relative. You must be a first-time home buyer and meet RRSP withdrawal requirements to be eligible. The St. Thomas and Elgin AHO Program aims to provide moderate-income households with affordable housing through forgivable down payment loans. The maximum amount of assistance is 10% of the purchase price (total loan not exceeding $10,000) and is distributed at the time of closing. No-interest loans need not be repaid if the home is not sold within 20+ years. The City of Brantford and the County of Brant have partnered with the government of Canada to give first time home buyers easily-attainable access to affordable housing. Forgivable (20-year) interest-free loans are given to qualifying applicants seeking to purchase a home within the B-Home district. You can get up to 5% (maximum $16,710) of the closing price to be put towards a down payment for your new home. The Niagara Homeownership Program is designed to help low to moderate income households achieve affordable housing. They offer a no-interest 20-year forgivable loan to individuals who are currently renting. Down payment assistance is 5% not to exceed $19,537 on qualifying homes within Niagara. Eligible homes may be detached, semi-detached, townhome, duplex or condo but must be modest in size and features. Have your eye on a home but don’t have all the down payment you’ll need saved up quite yet? The Home Buyer’s Tax Credit is a non-refundable tax credit that’s designed to help first-time homeowners recover a portion of their down payment and closing costs. You can claim $5,000 on your personal tax forms when purchasing a qualifying home which can be either an existing home or a new build. Persons with disabilities do not need to be first-time home buyer’s to take advantage of this tax credit. Canadian citizens who are first-time home buyers can benefit from full or partial reimbursement of their Ontario land transfer tax. The tax refund is available to new homeowners only. To qualify you must occupy the home as your principal residence within 9-months of ownership. Maximum rebate amount is $4,000. The Municipal Land Transfer Tax Rebate Program is offering a first-time purchaser rebate to help cover the cost of land transfer tax for those based in Toronto. The flexible program allows both Canadian citizens and permanent residents who have never owned a home (anywhere in the world!) to take part in this rebate. You can receive up to $4,475 on qualifying homes -either new construction or resale homes. If you’re considering buying a new or substantially renovated home, you may be able to take advantage of the GST/HST New Housing Rebate. Receive a portion of your GST (goods and services tax) or part of your federal HST (harmonized sales tax) when filing your personal taxes. You may still qualify for this rebate even if you plan to use part of your new home (less than 50% square footage) as a bed and breakfast or other short-term accommodation. Enjoy premium savings when purchasing energy efficient homes or by making energy saving renovations thanks to Genworth Canada. Receive a partial rebate of 25% when you make environmentally-friendly choices. Both new construction and existing homes that meet Genworth Canada’s qualifying energy efficient building program are eligible. 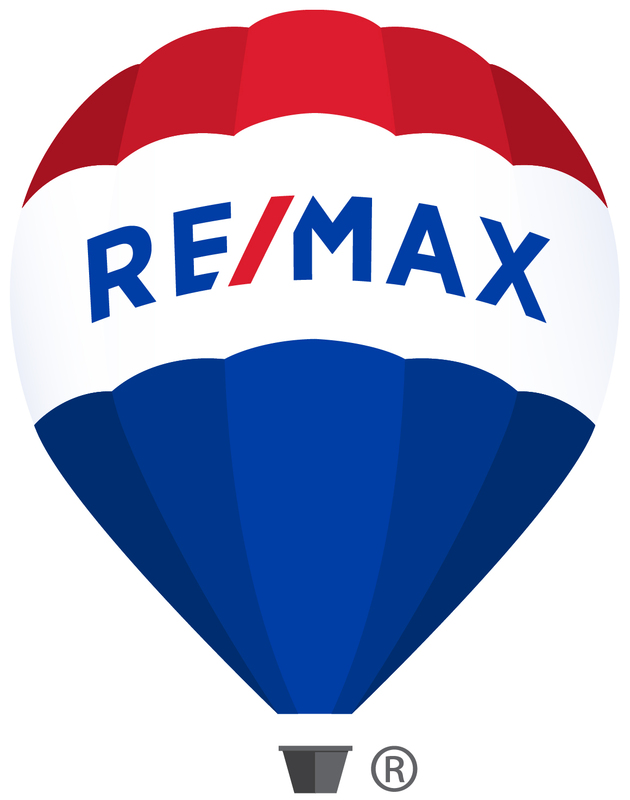 Need a little extra boost for your down payment on a home in Toronto? If so, Daniels First Home Boost Program might be just the ticket. When you have $3,500 (and sign a waiver to pay $1,000/mo until the down payment is met) first-time home buyers can get an additional 10% towards their down payment on condos/townhomes by the builder. Loans are interest-free. This unique Ontario tax credit is available to help persons pay for property taxes and sales tax associated with energy costs. Qualifying individuals who are 18-64 can earn a $1,042 rebate, while those who are 65+ can receive up to $1,187. As of 2018, qualifying persons can get an additional $301 for their spouse or common-law partner as well as each dependent child under the age of 19 living in the home. Homeownership just got more attainable. Options for Homes offers shared appreciate loans towards the down payment for their condos. All you have to do is qualify for a mortgage, put up 5% of the down payment and Options for Homes will cover the additional 10% or 15%. Loans are both interest-free and payment-free until you sell or move. First-time home buyers may qualify for an additional $25,000. Just ask! Instead of spending your hard-earned cash, try spending your labour instead! That’s right, in some instances, you can actually use your ‘sweat’ to make up a full or partial down payment. Completing or renovating a home adds value and shows your lender your commitment to homeownership. But remember, all sweat equity that is created must be done to code and only if you are a licensed trade. Talk with your lender beforehand to determine your eligibility for sweat equity as a part of your down payment. Speaking of sweat equity, Habitat for Humanity allows its participants to pay full or partial down payment through labor. Low-income families are able to achieve affordable housing with no-interest mortgage loans that are guaranteed less than 30% of your households combined gross income. Join the cause by committing to help advance H4H’s mission and ‘pay-it-forward’ to another family in need! If you’re like many shopping for a house in Ontario, you’ll need a loan to fulfill the down payment. Instead of waiting until you’ve got the full amount required and potentially losing your dream home, you may want to consider a loan program. Take a look at a few of our favorite ways to secure a loan today. A line of credit works similar to that of a credit card -without the super-charged interest fees. The process allows you to withdraw funds, as needed, and pay interest on only what you take out. This is a flexible alternative for individuals or families who don’t have quite enough saved up for their initial down payment. Personal loans are great... if you can get them. Because they’re riskier to financial institutions, you’ll need to have a stellar credit score, high income, and nearly perfect financial history. If you’re considering a personal loan for your home’s down payment, it’s a good idea to with your bank beforehand to determine your candidacy. Withdraws from your RRSP is only an option for first-time home buyers. Qualifying individuals can pull out $25,000 and couples can access up to $50,000 from their RRSP fund to be put towards a down payment. Best yet? You have 15-years to pay back the loan. If a loan is repaid within that time, the loan will be tax-free. Not interested in taking out a loan to make your house hunt more feasible? Becoming a homeowner may be easier than you think. Let’s take a look at a few of our favorite creative ways to turn your dreams into a reality. Liquidating unused items is a win-win! Cutting down on clutter you don’t use allows you to earn some extra cash and keeps you from having to haul junk to your future home. Host a garage sale, or simply take your unused things to a second-hand store and watch the dough roll in. Big-ticket items like antiques can easily be auctioned or sold via the internet to ensure you get market value. Find simple solutions to nixing excess spending. You know that $4 coffee you purchase on the daily?? Try swapping it out every so often for a fresh-brewed pot at home. In just one year, you can save thousands by cutting out a night out on the town. Ask and you shall receive. Start a GoFundMe account or simply chat with relatives about your homeownership plans. With the burden of student loans, it’s becoming increasingly common for young adults to turn to family and friends to help with a down payment towards their future home. Happily, lenders find these ‘gifts’ perfectly acceptable as long as they’re accompanied by a 1-page letter from both parties (borrower and gifter) stating the money is indeed a gift rather than a loan. This is a rare option and was more popular in the late 80s and early 90s, its called a Seller Take back mortgage. 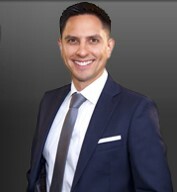 This is where the seller loans you the down payment and acts as a mortgagor. There you have it! With these idea you I´m sure you can figure out what is the best option for you. Contact me to get started!